Narnia is the musical adaptation of the beloved children’s classic ‘The Lion, The Witch and The Wardrobe,’ with all its memorable animal, mythological and horrible characters which the four Pevensie children meet such as Mr Tumnus, Mr & Mrs Beaver, The White Witch and of course Aslan. The script is its own original condensed version of the novel, bookmarked by the Professor Kirk’s Manor and the adventure of the four children into the world of Narnia in between, expanding on the themes, character’s motivations and relationships that author CS Lewis so well presented. It contains a great scope for imagination in its set, lighting and costume design, magically transforming the ‘spare room’ into a forest, capturing the love Mr Tumnus had for the former summer days, asking the audience to witness the miraculous arrival of Spring and celebrating the freeing of the Witch’s frozen prisoners. Where you know the musical or not, if you love the story of The Lion, the Witch and the Wardrobe, and have ever wanted to visit Narnia, we would love to see you audition this week. TWO FAB COURSES COMING UP! COULDN’T HAVE DONE ANYTHING DIFFERENT? THEY WERE GREAT, WE JUST WENT ANOTHER WAY WITH IT? Always getting a call back but never getting the role? 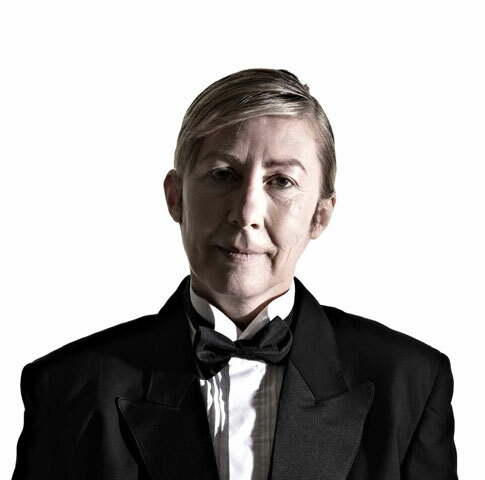 From a ‘Hard Word’ with Guy Pearce to ‘Love In Limbo’ with Russell Crowe, critically acclaimed, Rhondda Findleton is one of Australia’s most respected and accomplished stage, television and film performers. Rhondda is the author of ‘The Screen Test Practice Sessions’ and this advanced workshop will concentrate on the Audition. 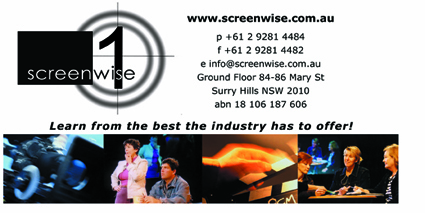 THE SCREEN TEST PRACTICE is a specific in-depth book about the Screen test process. All of Rhondda’s ideas and experiences are condensed into a simple, dynamic set of (19) practices. Each one of these Practices offers a key to being able to achieve a Screentest you can be proud of. Each Practice enables Actors to equip themselves and deliver the best performance they possibly can on the day. This Audition Workshop concentrates on exploring those 19 practices. Working with Casting Agents. Directors. Readers. Agents. Under 2 weeks until opening night. THE MIKADO comes to Eastwood next week! If you cannot see the links or images in this email, click here. Please find attached the details of our upcoming production of THE MIKADO.We look forward to seeing you at the show, as we continue to celebrate our 50th Anniversary year at EUCMS! Please note that all the matinees are almost sold out. Tues 16 and Wed 17 October 7.30pm at the Tap Gallery, Darlinghurst. To win, email win with your name and preferred performance. Winners will be informed by return email! This is an amazing play… one not to miss! Into the Mirror is a new play by Australian playwright Shelley Wall that meets the confronting issue of gender transition head-on… but with tenderness and compassion. Its very personal insights touch any and everybody. Into the Mirror explores the bond between mothers and daughters, relationships between lovers, families and friends; using the gender lens of Kendall’s transitioning to highlight issues that are present in all relationships. Into the Mirror is directed by the playwright Shelley Wall, and stars Penny Day, Helen Stuart, Amber Robinson, Carole Sharkey-Waters and Katie Lees. Design by Lisa Bruce, original music by Rachel Wall and Craig Dimond (Room 28), choreography by Julie O’Reilly, make-up artist Marisa Birbara. The Hatpin tells the true story of Amber Murray, a young woman who was forced to make the gut wrenching decision to place her son in the care of the Makin family. Little did Amber know she would never see him again. The Hatpin follows Amber’s fight against social prejudice for her son. Millar’s book and Rutherford’s score promise to captivate, move, thrill and entertain audiences. Starring: Tanya Boyle, Virginia Natoli, Katherine Cassidy, Stephen Wheatley, Tim Watson, James Swain, James Jonothan, Julie Ryan, Natalie Rogers and Adelie Battam. Do not miss this fantastic cast in this amazing production!